The food scene in Chennai is slowly transforming into one that will always provide a choice for everyone irrespective of their preference, thanks to the numerous food festivals that keep happening round the year keeping in line with the season and festivities. But one establishment takes their food festivals a notch above the others. Rather than having the usual type of festival celebrating the broader cuisine of a place, Hyatt Regency curate festivals specializing on a specific food family within the broader cuisine of the place. And the latest in their festivals is the ‘Traditional Kashmiri Wazwan’ experience that brings to Chennai the authentic wazwan cuisine. For those wondering what does ‘Wazwan’ stand for, ‘Waz’ means Chef who has rare culinary skills that are passed on for generations within the family while ‘Wan’ stands for shops with a large selection of meats and delicacies. The Wazwan Chef is usually someone of high regards in the society and used to exclusively cook only for momentous events and special occasions such as Marriages. 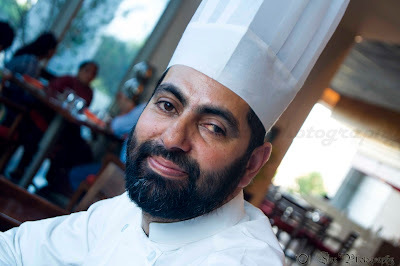 To rope in the authenticity, Hyatt Regency has flown down Waza Bashir Ahmed from Kashmir who will help provide the same experience along with the chefs here in Chennai. 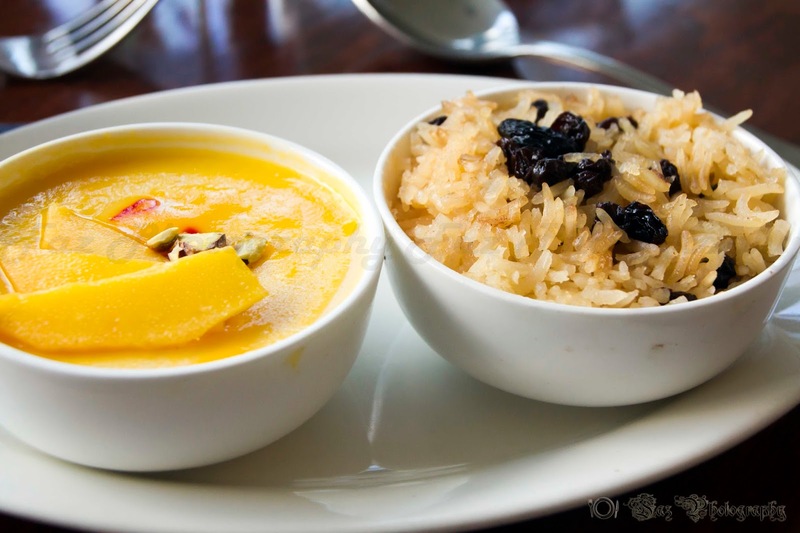 The traditional Wazwan usually consists of 36 courses with each having its own traditions. However, the meal that we experienced was a shortened version having about 16 different dishes. For the starters, we had some ‘Tabak Maaz’ and ‘Seekh Kababs’. The ‘Tabak Maaz’ is sort of a signature dish of the Wazwan cuisine and is prepared by infusing Lamb Ribs with spices and milk and finally being fried in oil or butter. 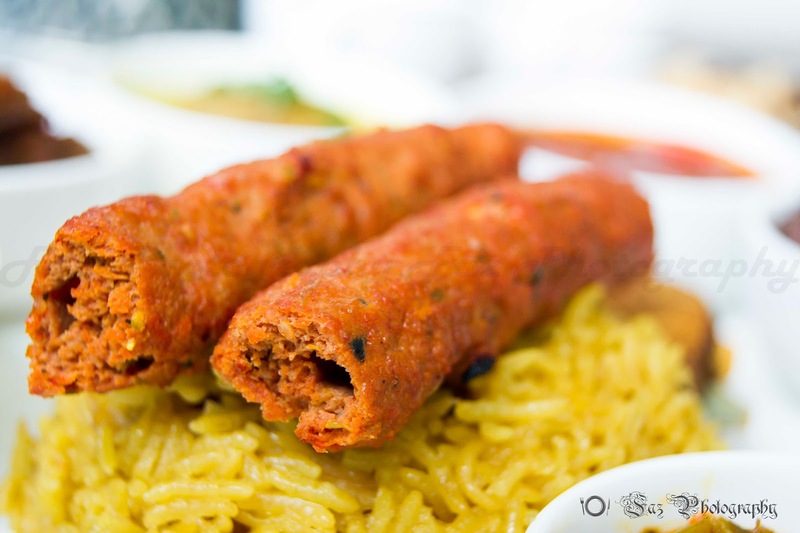 The Seekh kababs need no introduction and here they have an option of meat or veggie. The main course comprised of several curry dishes that were accompanied with a ‘Kashmiri Pulao’ and ‘Shirmal’, the traditional Kashmiri sweet bread. The two stand out dishes were the ‘Lamb Rista’ & ‘Chicken Daniwal’. The rista is spicy paprika based red curry while there was also another subtle version of the same lamb preparation called Gushtaba which uses a yoghurt base. The Chicken daniwal as the name suggests was a preparation using loads of coriander that infused the flavour well balanced to the curry. Being an avid meat lover and having sunk in the ocean of culinary richness from the curries, I decided to forgo the veg mains and indulge in some Qahwa, the traditional Kashmiri tea. The desserts that were served helped tie all the dishes together in a celebratory style. The ‘Kesari Mango Phirni’ was truly outstanding with the flavours of mango, saffron and dairy complementing each other perfectly. The other dessert of the afternoon was the ‘Zarda Pulao’ also known as sweet rice. Had this been the only dish of the afternoon, then I would have raved but the Phirni just brought about the perfect closure to this wonderful journey of the Kashmiri Wazwan festival. The Wazwan experience is being held at Spice Haat in Hyatt Regency and is part of their buffet spread. 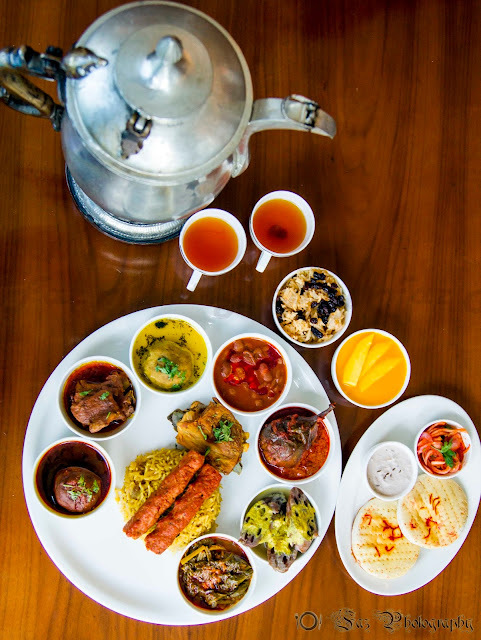 One can also savour the Wazwan experience in the authentic way by ordering for a ‘Traem’ which comprises of a large plate with rice heaped in the middle and surrounded by all the other elements of the cuisine. This is ideal for groups to indulge and share the love of eating from a single plate. The festival is on till the 21st of June and is priced at ₹ 1550 plus taxes for the buffet while the Traem will cost about ₹ 1440 plus taxes for the non veg option and ₹ 1100 plus taxes for the veg option. .To be updated on my latest reviews, do subscribe to the feed by leaving your email address in the subscribe section on the top right hand side of this post. If this article interested you, please share it so others may be interested and benefited too!!! 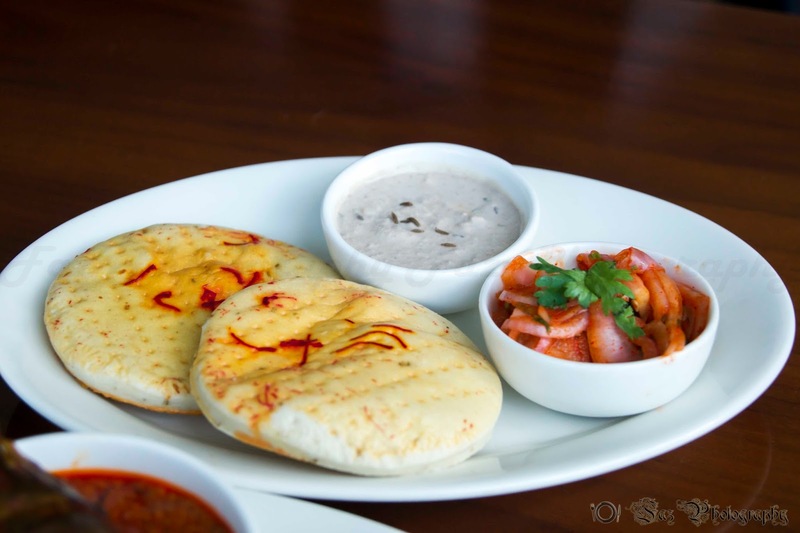 Request you to also visit our Facebook page Food In Chennai - Facebook and share the page with a Like amongst your friends and also follow us on our twitter handle at @FoodInChennai. You can also follow us on Google Plus at Food in Chennai-GooglePlus. Please also feel free to g+1 this post so others may be benefited too. really nice and interested to read. Hyatt Regency, Anna Salai is one of the Best Restaurants in Chennai. Nice post. Here, Deserts I liked it very much. Wow seekh kabab and deserts sounds tasty. sure it will taste good.. Nice list fazil.. The pastries that were served tieed every one of the dishes together in a celebratory style. The 'Kesari Mango Phirni' was really exceptional with the kinds of mango, saffron and dairy supplementing one another flawlessly. The other treat of the evening was the 'Zarda Pulao' otherwise called sweet rice. My mouth is watering after seeing you post. Thanks you so much Vidya for your comments. This is looking really yummy!!!!! Tabak Maaz is look very nice.. hope it's very testy..
its looks amazing and very testy. very nice, worth trying at home. liked it. I really liked this post, have read many of this sort but this seems to be the best till now. Great Article and i have ever read this post! !